Iloilo House and Lot aims to provide comprehensive listing of house and lot and other real estate for sale and/or rent in Iloilo and in the whole Western Visayas. Entries are updated about every week. You can take advantage of the Search and Browse Listing page to make your search for real properties much more efficient. If you have inquiries, please do not hesitate to contact us. She is a B.S. Aquaculture graduate from University of the Philippines in the Visayas but wanted to explore the world of real estate. She loves to meet new people and loves to travel. She is now a licensed real estate broker here in Iloilo. 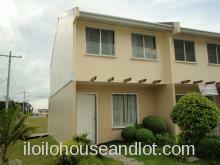 Iloilo House and Lot is managed by Agustin. He is a B.S. Computer Science graduate from University of the Philippines in the Visayas. He is a systems analyst and is fond of developing systems to make life more efficient.